In the Q2 of 2018, Microsoft has outgrown its top cloud platform competitors by growing its market share by 3% points to 14% according to the recent study by CNBC. Further, in comparison to Google, Amazon had a 34% market share at the end of the same quarter. As per the researched report, during the same quarter, Amazon grew its cloud revenue by almost 49% to USD 6.11 billion. However, for MS Azure, Microsoft had not revealed its quarterly revenue but said that revenue for its cloud platform grew by 89%. Looking at about statistic data, Microsoft Azure has grown its market share in cloud services. 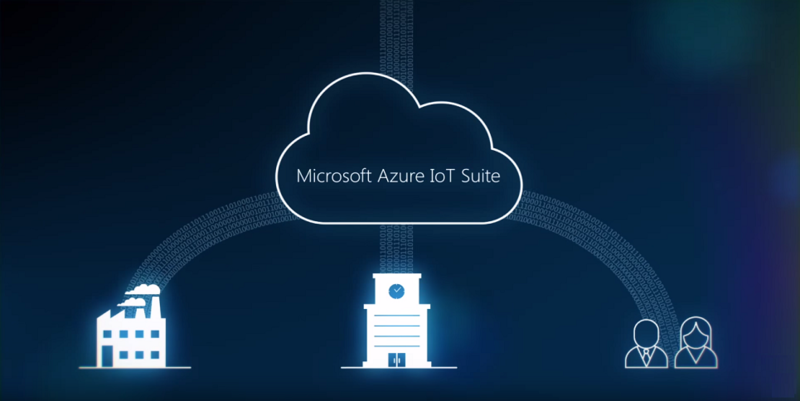 With a growing collection of cloud services, from computing, database, storage, and web development, to networking, analytics, and mobile development, MS Azure has increased its presence across the globe in the midst of small-medium based IT giants who are in quest of improving their productivity and flexibility with cost-effective solutions. As this technology is one of the most flexible platforms, it enables enterprises to remain competitive and profitable as they scale. One such IT giant located in Australia with 13+ years of experience in the digital agency specializes in innovative web, mobile and tablet solutions for local and international clients was in search of cloud-based solutions. Being from an IT industry, data security and sharing is the highest priority for their organization. Therefore, they were in search of reliable IT Services and Solution Provider Company to build them a cloud-based secure online meeting application for their business. With their queries, they approached Rigel Networks seeking for an assistant. Based on client’s requirement of a cloud-based solution, Rigel Networks put forward two choices – AWS and Microsoft Azure in front of them. Acknowledging the client’s specific demands and choosing Microsoft’s firm footing and better support capability, Windows Azure was cherry-picked as an apt cloud platform for the project. Therefore, with the help of our experienced technical experts, we provided a cloud-based secure paperless meeting solution using MS Windows Azure. The cloud-based solution allowed them to easily setup important meetings while securely distributing the necessary documents for attendees to review and annotate. Designed especially for the Apple iPad, our client was highly impressed with the work delivered, as the application has eliminated their problems of preparing and managing essential meetings, through all the required web-based administration tools provided in the mobile app. The app enables users to browse their meeting schedule, agenda, associated documents and the ability to annotate these with unparalleled ease and security. Moreover, the concerned organizers can later delete these documents and all meeting content at a set time and date. Chilkat for encryption, iAnnotate API for annotating the meeting documents, Kal Library for the calendar as iOS does not have a native calendar control in development, ASIHTTP Request for asynchronously downloading files, AES and RSA Type for Encryption as a 3rd party tool, MS.Net 4.0, SQL Server 2008 for data manipulation, AJAX, Entity Model, C#, .Net and Telerik as technologies used to design the mobile application. Why Choose Rigel Networks for MS Azure? Rigel Networks – a certified Microsoft Gold Partner company provides on-demand, on-site and remote IT solutions to startups and scaled enterprises. At Rigel Networks, we offer you MS Azure adoption services as well as fully managed cloud services. We facilitate our customers to leverage the potential of Azure to the maximum growing business agility and efficiency. Based on effective consulting, proper planning, and efficient deployment, we expedite a smooth transition from on-premise IT systems to the Azure cloud. 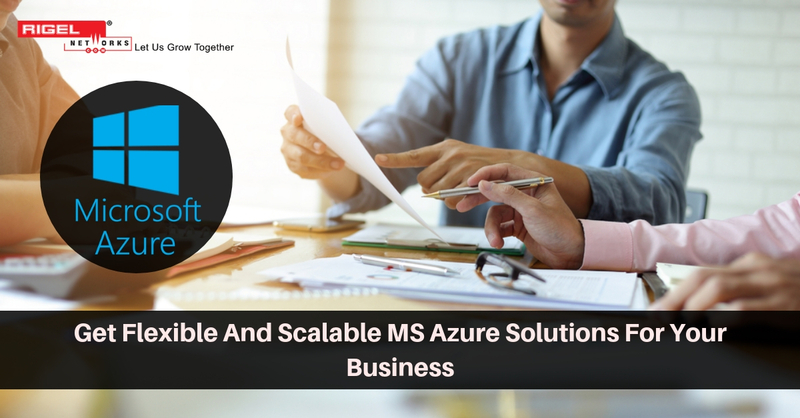 We also provide fully managed MS Azure solution for organizations that are without an internal IT provision and are aspiring to adopt the cloud.